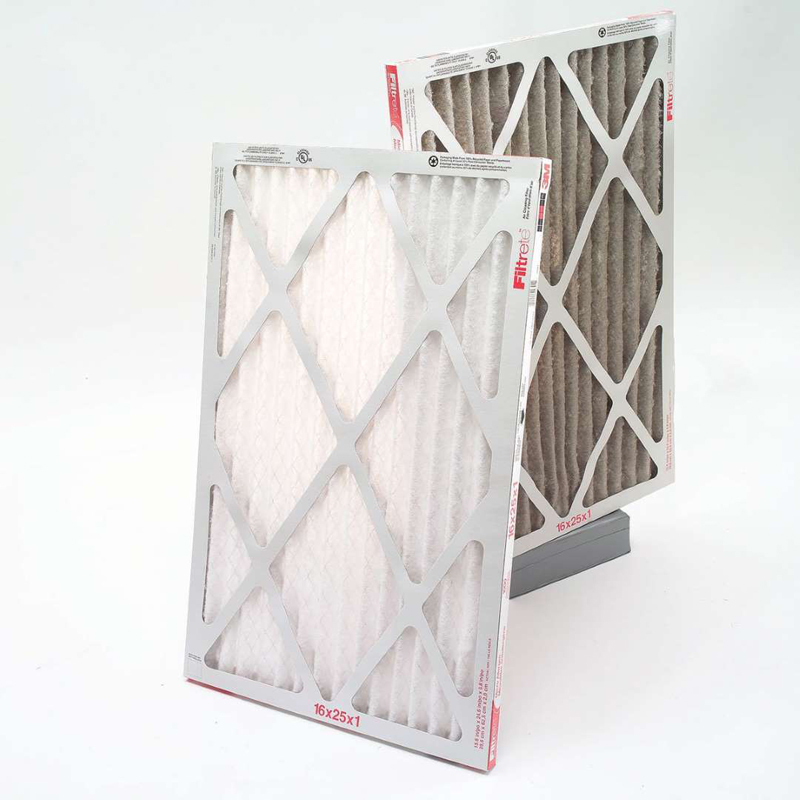 If you're negligent about replacing your furnace filter regularly, listen up. It's not only costing you clean indoor air, you'll be spending extra money on utility bills, unnecessary furnace repairs and maybe even a super-spendy premature furnace replacement. Myth #1: Fiberglass filters are fine if you change them regularly. There’s a reason you can almost see through fiberglass filtersâthey don’t filter very well. That’s why they last so much longer than pleated filters. Because they don’t capture the finer debris, they donât clog as fast as higher quality filters. Not only does that fine dust stay in your indoor air, those particles are circulating within the furnace where they’ll build up on (and damage) interior mechanical and electronic parts. Instead, use pleated paper filters. Myth #2: You should replace your filter every 30 days. The truth is that you should change your filter when it’s dirty, not on some arbitrary schedule. How can you tell when the filter needs replacing? First of all, always have at least one new replacement filter on hand. Every month, pull the filter from your furnace and compare it to the new one. Then you’ll easily be able to tell when the dust is covering the filter and it needs to be replaced. Myth #3: The higher the MERV rating, the better. When it comes to furnace filters, they are “MERV” rated according to how finely they filter the air. MERV is an acronym for “minimum efficiency reporting value” and the range is from 1 to 16, with 1 being the most porous and 16 the finest. One might think the higher the MERV rating, the better, but for most homes, a MERV rating of 8 to 12 is plenty good. They will filter the vast majority of airborne particles and provide plenty of protection for furnace components. Higher MERV filters plug up much faster, so they need replacing more frequently. Only homes that have family members with respiratory issues, serious allergies or low-immunity issues should bother with filters rated above 12. Myth #4: Staying on top of filter changes means fewer furnace tune-ups. You might think that your furnaces innards will stay pristine with frequent filter replacement, but you’d be wrong. It’s still a good idea to have your furnace professionally serviced once a year or so. They’ll clean internal components, the condensate line, perform a combustion analysis for O2, CO and CO2 to make sure your furnace is performing safely and up to par. Most importantly, they’ll ensure your heat exchanger is intact and thatâs a big safety issue. Washable filters require far more effort than simply swapping a dirty disposable filter for a new one. Plus, it’s difficult to get washable filters completely clean. Washable filters only offer MERV ratings between 1 and 4 so they don’t provide good filtration either. Since they cost $80 to $100, the payback just isn’t worth the trouble and substandard filtration. However, if you’re ecologically minded and detest the idea of throwing away filters, you’ll just have to accept a somewhat subpar filtration system.